As the OnePlus 6T was getting unveiled on the 29th of October, Xiaomi's sub-brand Pocophone didn't waste any time to try and take the limelight. Outside the OnePlus event in India, Poco was giving out free calculators and picketing the tagline "Do the math". 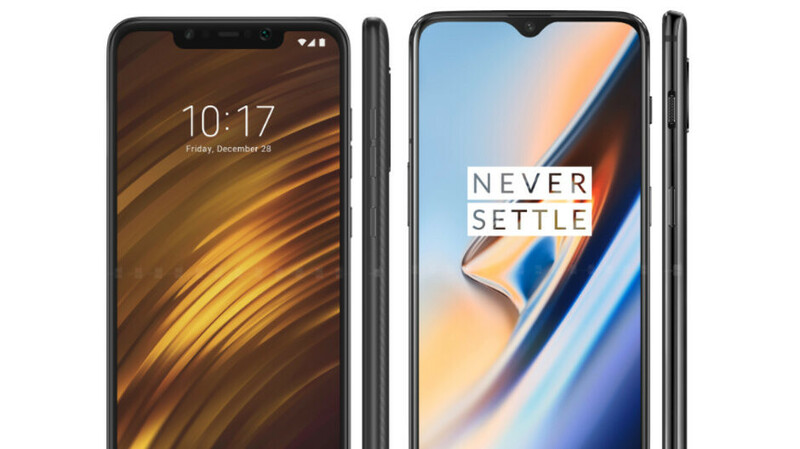 Taking a look at the company's Twitter account, we can see what all that is about — a bunch of messages, showing us that the Pocophone F1 has all the features of the OnePlus 6T, but for a fraction of the cost. So, that's the match that needs doing, it seems. Well... There are a bunch of reasons to prefer one phone over the other for sure. We are not sure how this particular guerilla marketing campaign would affect Poco sales. But we thought we'd ask you — which phone would you buy? Here are our poll results, do the math. LoL, but I did do the math, and according to your title, 101% voted. Oh come on now, it's called poor rounding. Just making a joke. I do like the title very much - it was clever because the name of the other device is an algebra equation. @Vokilam, that is a great catch, lol. Poco is a great phone, but users beware. The following issues are widely reported: 1) Terrible backlight bleeding. 2) Poor color gamut. 3) No widevine support. Netflix / Amazo prime runs at 540p. For those who are not bothered by these issues, Poco has a headphone jack , 4000mAh battery(no idea about the real world battery life between the two) , ad more durable(but arguably less premium) a huge price advantage and the same chipset and RAM (which is an advantage given the same price). OnePlus has the better software, camera and display.